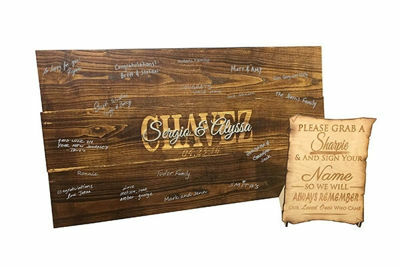 This Rustic Wood Wedding Guest Book board will be such a unique and attractive addition to your wedding and home. Keep your memories and loved ones on display for a lifetime! It makes a great guestbook alternative compared to the standard sign in books! Let we create a custom one of a kind piece for you! 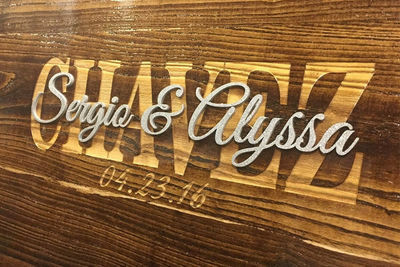 This Rustic Wood Wedding Guest Book board will be such a unique and attractive addition to your wedding and home. Keep your memories and loved ones on display for a lifetime! 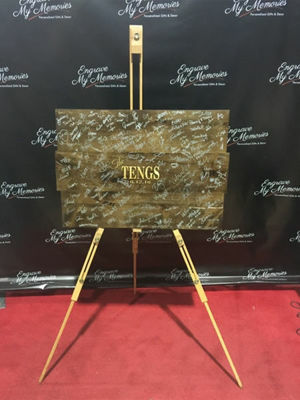 It makes a great guestbook alternative compared to the standard sign in books! 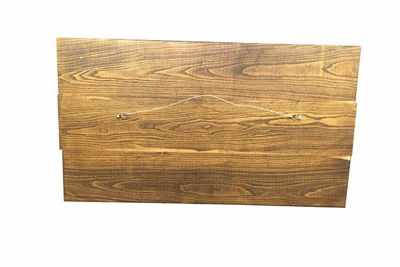 The board is handcrafted from knotty alder wood and has great characteristics and wood grain. It is engraved and then inlaid with wood pieces. Each piece created is guaranteed to be different! The board is sanded and finished with a gloss coating. The back of the board also has a wire so you can easily hang it. Sharpies are not included but we recommend silver metallic fine point sharpie for the dark walnut and ebony stain and a black sharpie for the natural color board. This is for a full custom designed "Hawaiian Koa Wood" art decor. 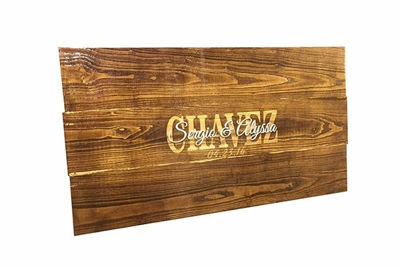 With your purchase, we will work exclusively with you to design a luxury handcrafted wood piece that is one of a kind! We can assist in working with you to brainstorm ideas for design and content with your information and background of the project you are wanting. These pieces will make a great addition to any home, cabin, beach house, restaurant & any establishment. 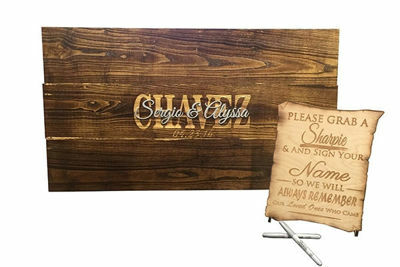 Rustic Memory Wood Card Box will be customized with your Names and Wedding date and you pick your design! Have a unique one of a kind card box that will give a beautiful & elegant rustic look. Personalized Dog Toy Box is beautiful Pet Memorial box with custom engraving! It makes a wonderful keepsake of your loving pet. These Wooden pet keepsakes boxes are truly one of a kind and customized personally for you and your pet. A perfect memorial choice to keep the memory close. Gift for Pet Lovers, to celebrate a new pet, or a loving memorial for a Dog or Cat loss.